Quick post today because I am all sorts of exhausted. I used KBShimmer Mixed Peelings as my base. I dotted with Zoya Pippa and American Apparel Parakeet. I used the latter for the accent nail as well. So pretty! They look like rainbow sherbet. This makes me think of some sort of tropical, pretty drink – with limes. 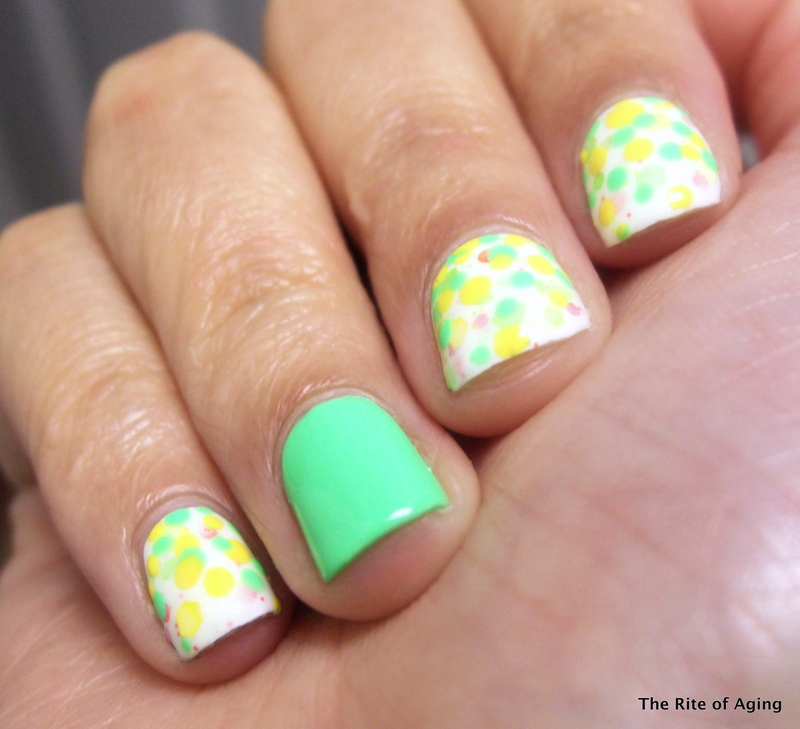 Lovely soft pastels make a perfect springtime welcome mani! Sorry you’re not feeling very well. Hope things improve for you soon. I love your simple little design. It just goes to show what you can do even when you don’t feel up to doing anything complicated. You are such an inspiration to me, and I really look forward to all your posts. Thank you, Christine!! I really appreciate your kind words 🙂 Dots have quickly become one of my favorite looks for they’re simplicity and ease!